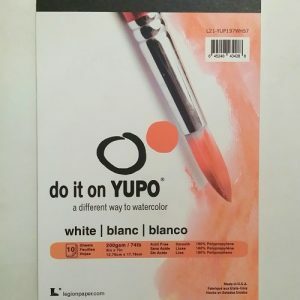 YUPO Paper 74LB-10 Sheets 9" X 12" Yupo paper is a unique alternative to traditional watercolor papers. 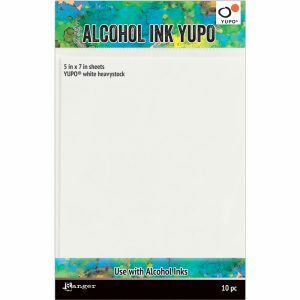 It's an incredibly durable, stain-resistant, non-absorbent synthetic paper that holds ink and watercolor with razor sharp precision. This extraordinary surface also resists tearing and buckling and it remains perfectly flat. Doodle, draw, write and scribble. 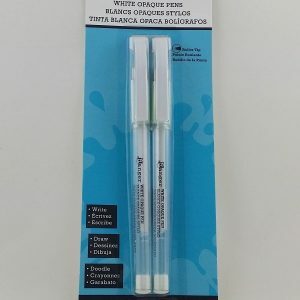 Filled with a bright, white opaque pigment ink this pen is great for doodling, accenting stamped projects and journaling on colored papers. 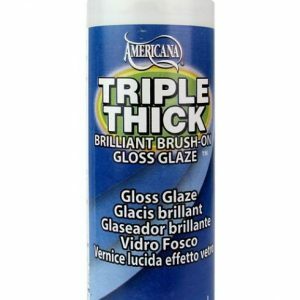 Use it over projects painted with Distress Crackle Paint and Adirondack® Acrylic Paint Dabbers. Highlight pre-printed embellishments and scrapbook papers to make them pop! 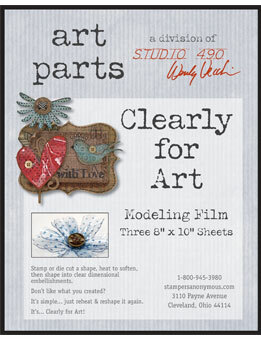 Studio 490 Wendy Vecchi: Clearly for Art CLEARLY Stamp or die-cuts shape, heat to soften, then shape into clear dimensional embellishments. Don't like what you created? Just reheat & reshape it again. It's...Clearly for Art . We also carry the Blackout Film and the Whiteout too. Used by Alexis Bonavitacola in her workshops. 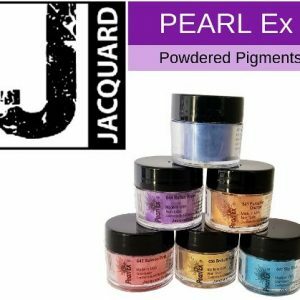 Pearl Ex Powdered Pigments-3 grams by Jacquard Pearl Ex Powdered Pigments may be used any time a metallic or pearlescent effect is desired: mix them into acrylics, oils, printing inks, encaustics, alcohol inks, epoxy, glues, casting resins, clay, varnishes…the list goes on! 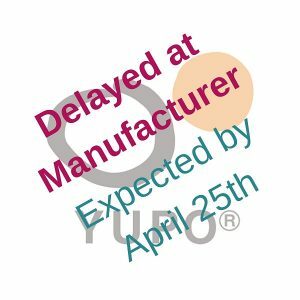 Try it mixed with Gum Arabic for a DIY metallic calligraphy ink or watercolor, in the Pearl Ex Varnish for working on non-porous surfaces, or mixed into one of Jacquard’s colorless extenders for use on fabric. Pearl Ex is a safe, inert pigment that exhibits extreme colorfastness and stability. The different particle sizes produce different effects, from a smooth pearly luster, to a highly metallic sheen. Pearl Ex creates a metallic effect without being a real metal—it will never tarnish or fade! Get the Colour Chart Here. 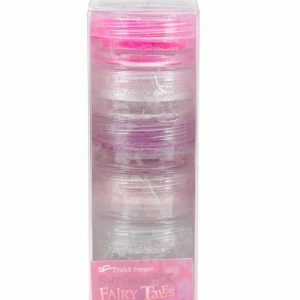 Surface FX by Chriti Friesen-FAIRY TALE Package of 5 Colours Micas, glitters and chalks that can be used to add a touch of color, shimmer or dimension to your polymer clay creations. 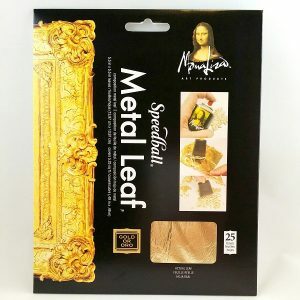 Lisa Metal Leaf (Gold) 5.5 x 5.5" Package of 25 sheets Composition gold leaf is made of copper and zinc which, when formulated correctly, closely resembles pure gold but is a fraction of the price. 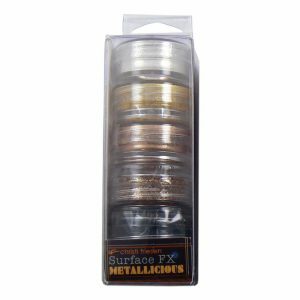 Surface FX by Chriti Friesen-Metallicious Package of 5 Colours Micas, glitters and chalks that can be used to add a touch of color, shimmer or dimension to your polymer clay creations.